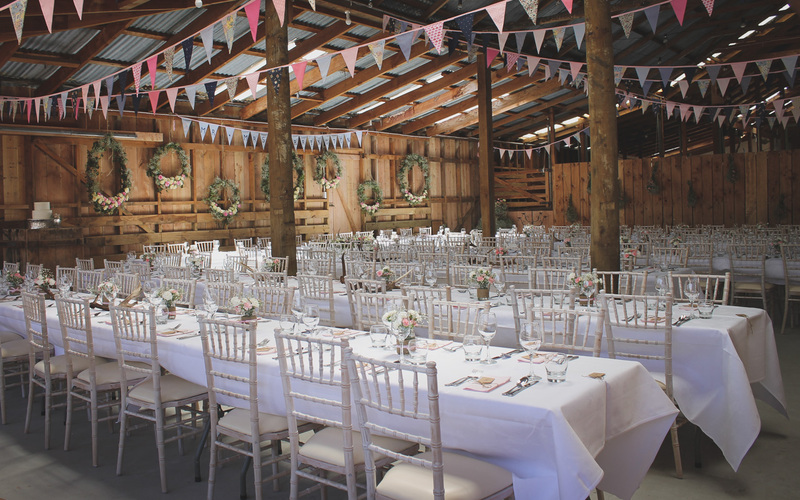 With incredible views and close proximity to the Lake, Glendhu Station Woolshed is in an exceptional location, providing a rustic setting in a unique historic building. 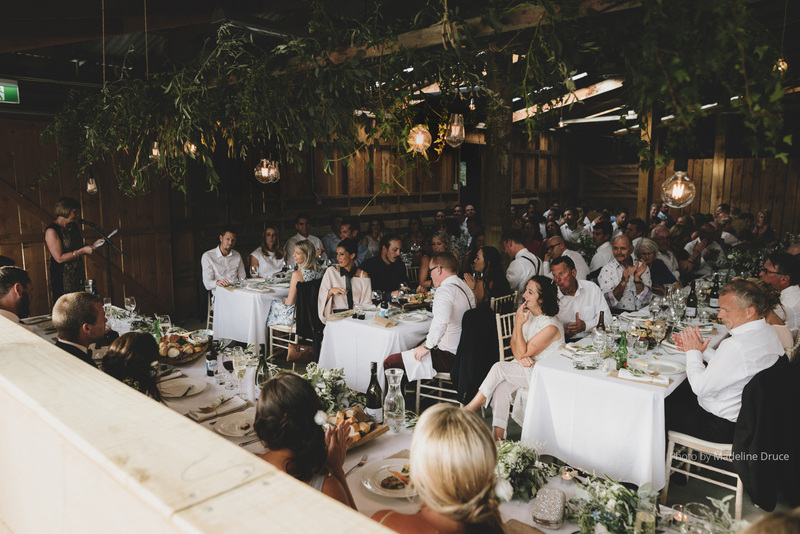 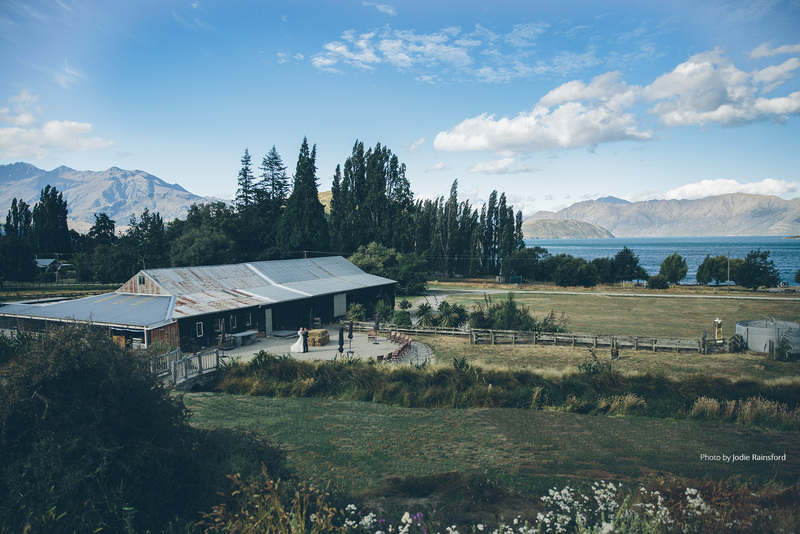 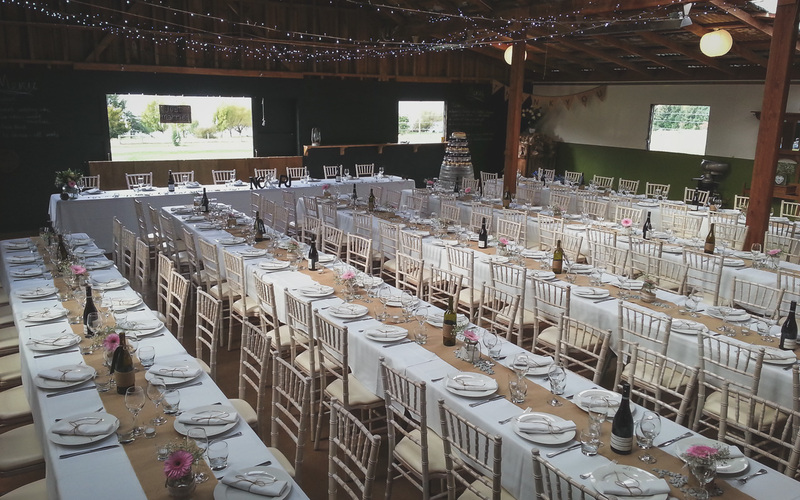 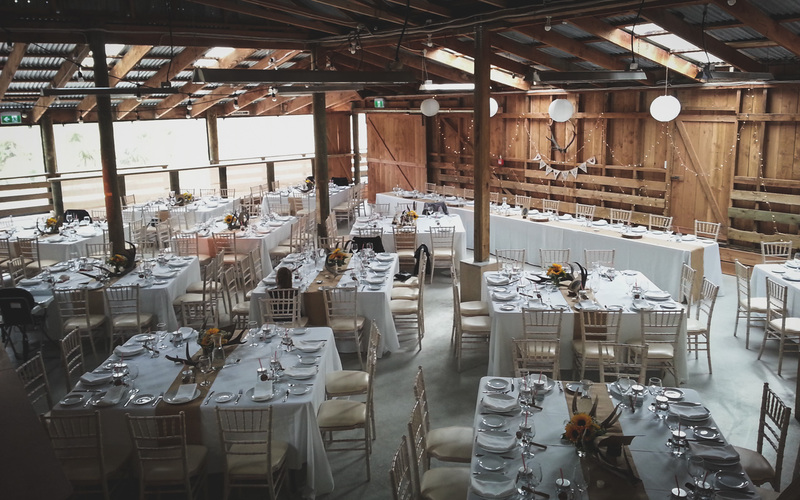 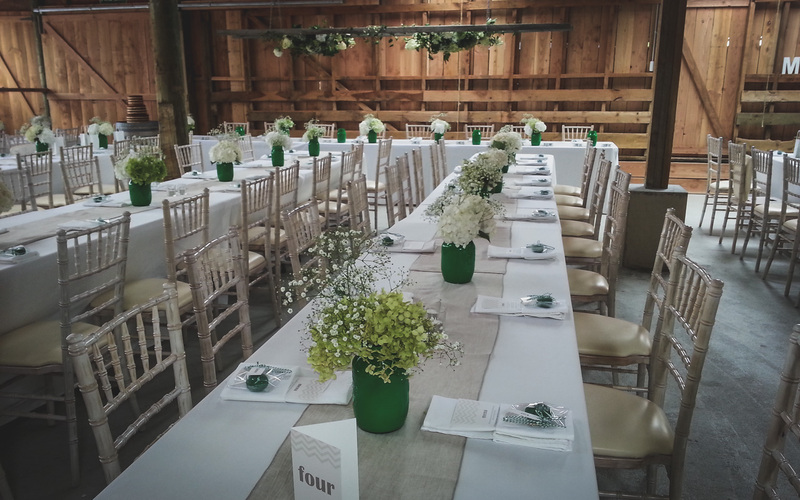 The McRae family has hosted wedding receptions in the Woolshed for over 15 years, as well as conferences, artist’s workshops, private parties and functions. 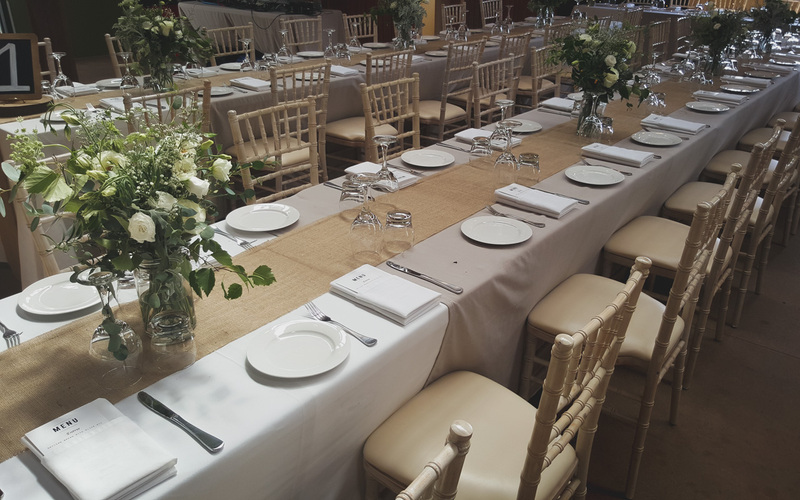 With a reliable network of catering and entertainment professionals, the venue has the flexibility to suit your specific event’s needs, seating up to 160 for banquet and catering for up to 200 people for a cocktail/bar setting. Our consent allows us to extend the guest list up to 500 for music and art events. 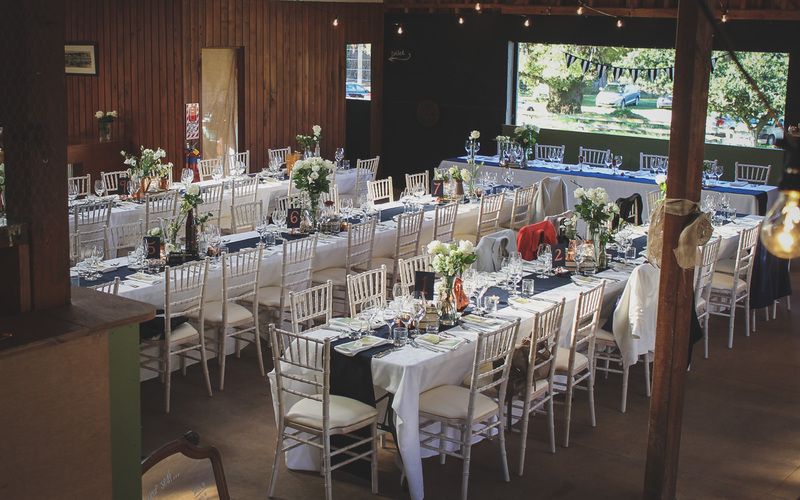 The venue provides power and ample space for mobile catering solutions, ramp access and a wheelchair toilet internally, and state of the art female and male toilets in a renovated container adjacent to the main building. 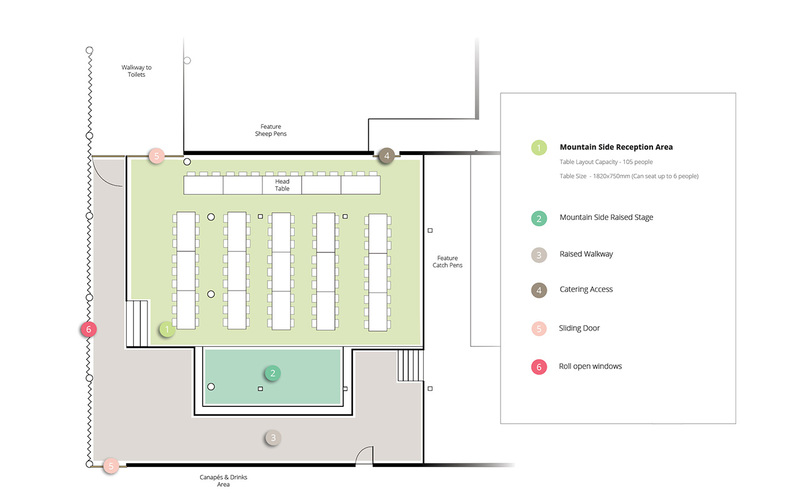 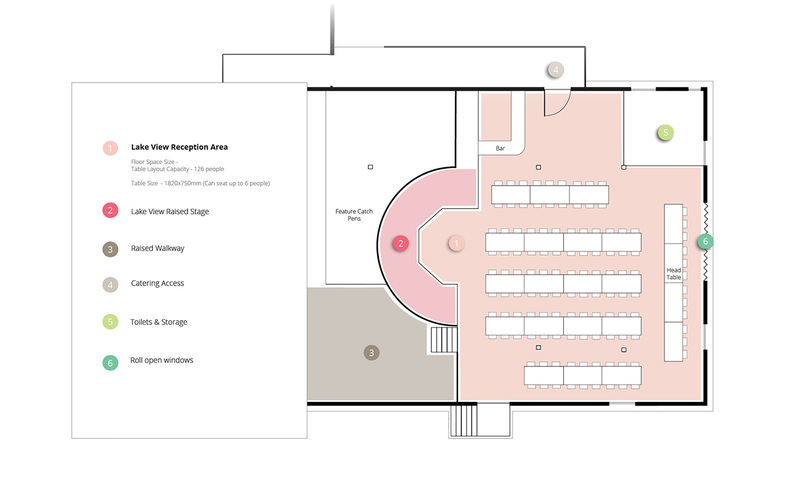 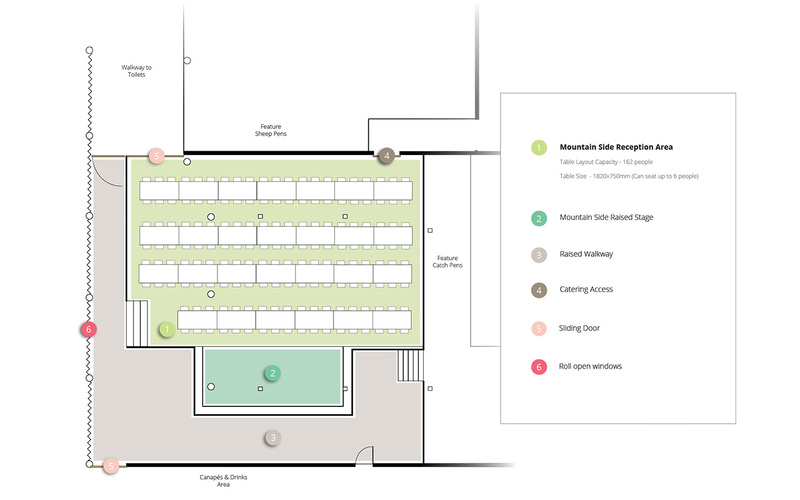 Two large internal spaces, Lake Side and Mountain Side, provide opportunity for seating on one side and a dance floor on the other. 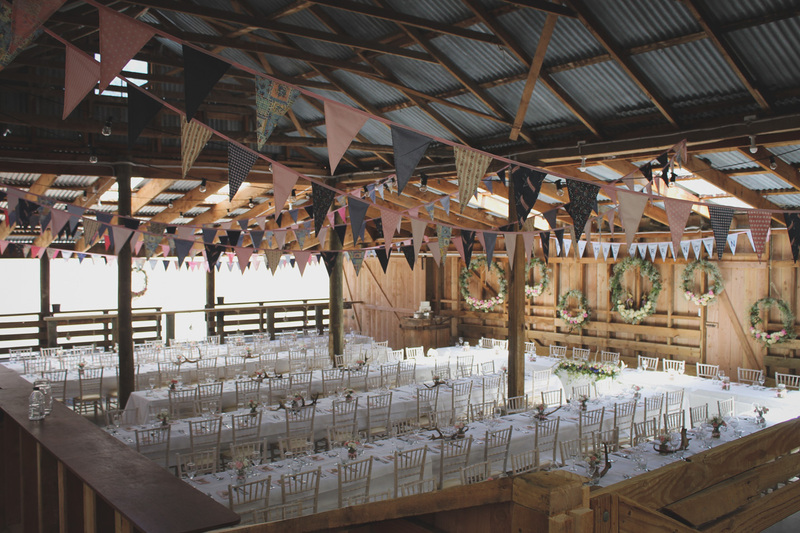 This also means you have an internal wet weather option for your ceremony. 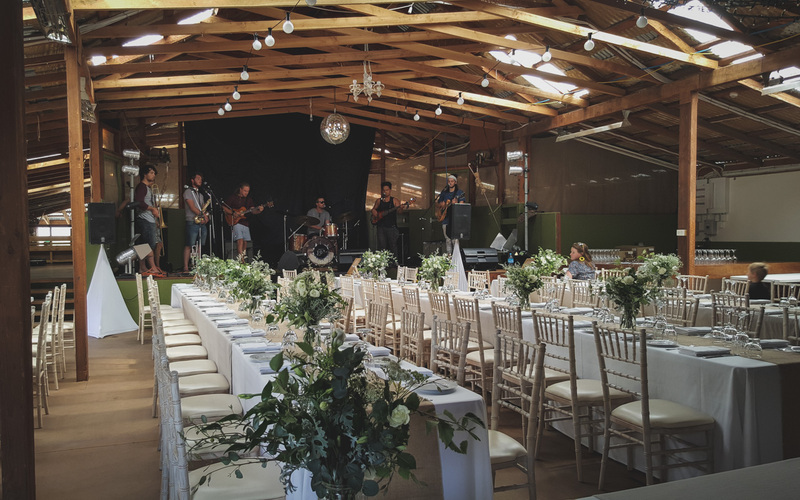 The old shearing board on Lake Side provides a unique stage for a band or DJ, whilst ample space in Mountain Side also allows for bands to play. 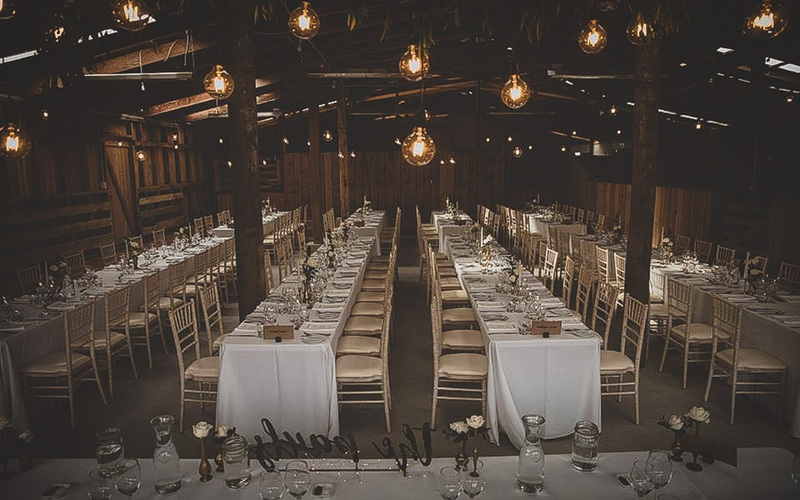 The “Wool Room’ beside the large seating space in Mountain side provides a rustic bar-style area perfect for canapes should weather prevent you from enjoying the landscaped outside area. 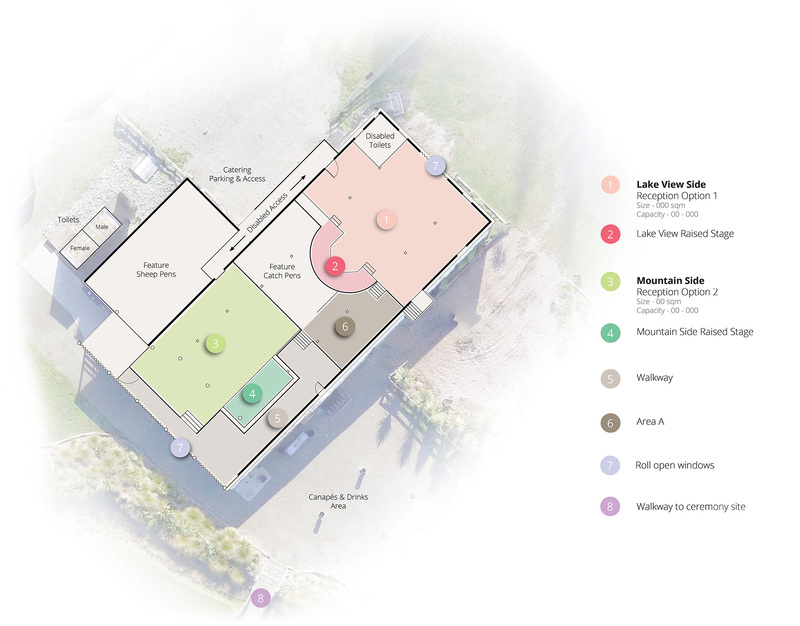 The garden allows for further opportunities to extend the area giving you three distinct spaces. 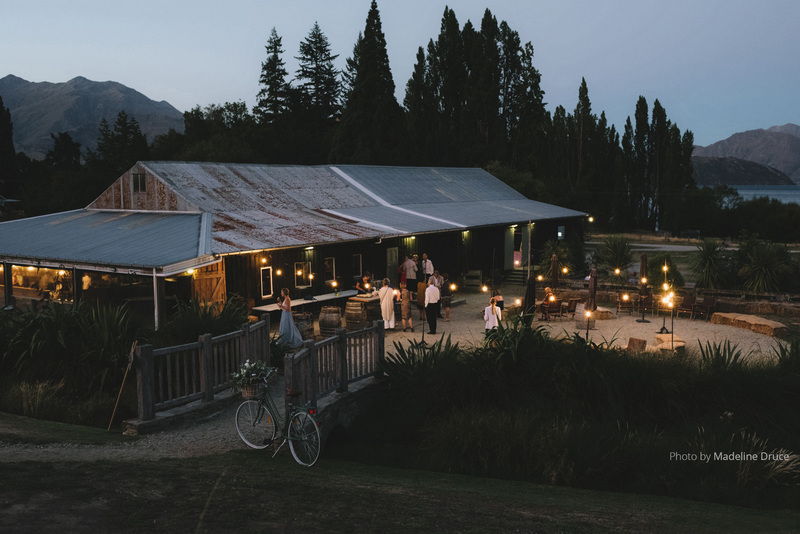 This garden area has outside tables, chairs and umbrellas as well as gas heaters for evening warmth. 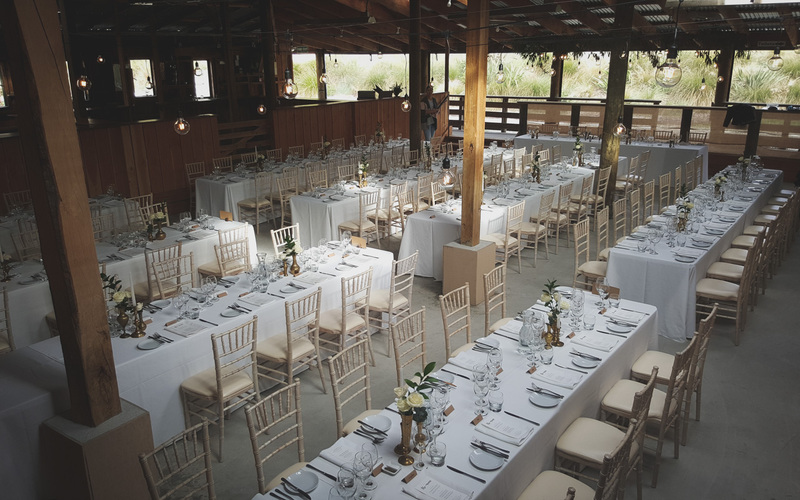 Developments to the Woolshed and surrounding landscaped gardens are ongoing, as it is our mission to continue to provide first class sustainable space for your dream wedding.